A foreigner scored both their goals, but the local lad was the catalyst for the Gaurs' victory. FC Goa has returned, finally to their winning ways after a disappointing couple of games at the North-eastern frontiers of India. They showed their goal-scoring prowess through two goals by Manuel Lanzarote either side of the half time whistle to send the Jamshedpur team packing. Trindade Goncalves’ goal only served as a consolation for the game but pointed out a glaring flaw in the defensive set up of the Goan team. 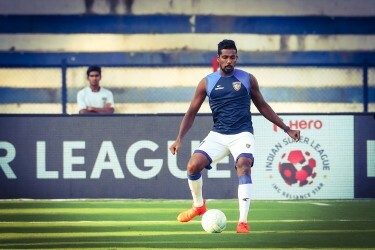 Kattimani has reaped the benefits of the show of faith by his manager, Sergio Lobera and has improved from game to game, to finally become that wall for Goa. Although he conceded a goal, it surprisingly wasn’t his error that led to the goal as this time his defence left two players unmarked in the goal area. Kattimani is finally showing that he deserves the faith which his manager has showed on him. The former Churchill Brothers player is finally enjoying his day out in the sun and is making the most of it. His defensive capabilities coupled with a great sense of positional awareness make him stand out in a leaky Goan defence. He showed great composure throughout the 90 minutes and committed only 2 fouls while making 4 interceptions and 2 blocks for his side. Seriton is surely building himself up to be a stalwart in the Goan ranks. Ali is a fighter in the mould of his name-sake and exhibited a calm and composed, yet a strong outgoing performance against Jamshedpur’s barrage led by Izu Azuka. You will be surprised to know that the defender who played all of the 90 minutes, did not conceded even one foul despite having made 7 clearances and 4 crucial tackles. Such clean game-play from a defender is noteworthy and clearly points out that he is set on the right path. Narayan Das had difficult encounters against ATK and NorthEast United, but showed today why he is the first choice Indian left back. 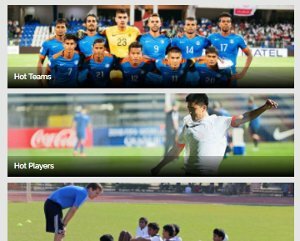 With new talent rising across India in the two leagues, such performances will play a crucial role in cementing his place for the Blue Tigers under Stephen Constantine, who is known for his role in handing out debuts to up and coming talents across India. Narayan made 3 clearances and was also instrumental in attack as he created the chance that led to Lanzarote’s goal. Defensively and attacking wise, he is developing himself to be a total professional. Once ignored by Stephen Constantine, who at that time said that Brandon was not among the best in the country, he has now stamped his authority on the number 10 role for Goa. His positional game play as a Central Attacking Midfielder has won hearts as well as the penalty that led to Goa’s victory against the Steel Men. 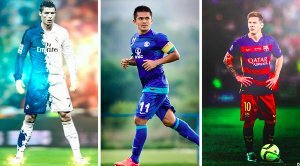 If any youngster is capable of laying claim to Captain Maverick Sunil Chettri’s place in the National Team, it is Brandon Fernandes. Mandar has been playing the winger’s role for FC Goa and has perfomed decently for the side. In the game against Jamshedpur, he had an average game and looked undependable to provide the final ball in. He was one of the few Goan players who had a bad day at the office in last night’s encounter. Came in for a Cameo and did just that. He helped Goa tie down the game in the dying seconds of the game and pushed ahead to try and get a goal to his name. A talented mid-fielder like Halder was employed as a time-wasting measure by Sergio Lobera. The top nominee for the Golden glove and one of the senior most keepers in the business, Subrata Paul couldn’t save Jamshedpur FC the blues against rampaging Goa. Although there was little he could do for both the goals he conceded against the brilliant Lanzarote, he still needs to marshall his defensive line in a better way. Subrata even at his age needs to know that there is always room for improvement. 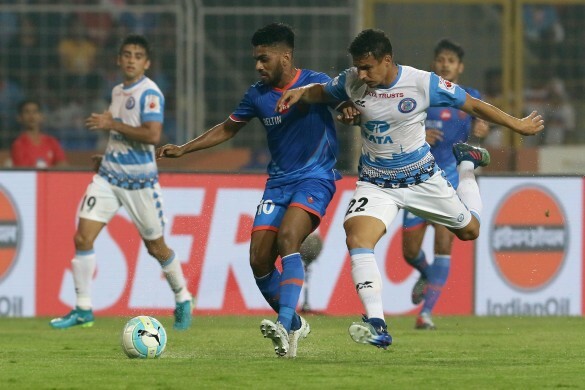 Shouvik worked really hard in his position to gain some leverage for his team and his performance has considerably improved compared to his last outing against Mumbai City. Bring relieved of his corner duties, Shouvik posed a greater threat to Goa, but has miles to go before he becomes a potent tthreat and to do so needs to greatly improve his passing ability which was at an abysmal 38%. 2 crosses, 2 free kicks and 2 clearances along side 2 goals conceded, sums up the dismissible performance of Souvik. Having been an instrumental part of Coppel's Jamshedpur, he didn’t live up to the hype around him. Souvik needs to step up his game and take more responsibility as the play moves forward to ensure he excels in his role. Jerry had a decent outing on the Western Coast and showed why Coppel’s trusted thos young kid. Having breezed past Mumbai, the higher paced Goan defence posed a new challenge and he accepted it with open arms. Although he didn’t get any assists to his name, he cross delivery was excellent and he improved JFC's corner delivery in a huge way. Jairu didn’t get the support he deserved and fumbled a few chances. On an average he played really well but needs to learn how to deliver the ball after having cut through hordes of defenders. A fully fit Jairu can level and walls and Coppel will be keeping a close eye on his recovery. Siddharth was the surprise inclusion for the Jamshedpur side and popped the likes of Farukh for his chance. Overall a good game played with good tackling and falling back alongside his hard work in the attacking third. Has a lot scope to improve his game and up the ante. Missed a sitter in his first real chance at a goal, but Farukh Choudhary showed why he was picked up in the draft by JFC. Coppel is known for recruiting talented youngsters and Farukh may proved to be a testament to his team selection policy. Ashim looked like a ghost of Christmas past, having been once touted as the man to replace Bhatia, he quickly fell of the radar and now has re-emerged at the ripe age of 35 to give another cameo as he walks into the sunset. Provided very little teeth to the attack.